Report shows the blaze began after PG&E crews did not properly prune a pine tree that later leaned onto a PG&E power line, triggering the blaze. California fire investigators on Thursday released a report saying that negligence by Pacific Gas and Electric was to blame for starting the Sierra wildfire last year that destroyed 71,000 acres, killed two people and did more than a billion dollars in damage. The report shows that the blaze began after PG&E crews did not properly prune a pine tree that later leaned onto a PG&E power line, triggering the blaze. “First and foremost, our thoughts and prayers continue to be with the victims and the communities who suffered losses as a result of the Butte fire. We are committed to doing the right thing for them and to promptly resolving their claims. We have already begun to address many claims. We want to thank CAL FIRE and all first responders for their bravery and commitment in responding to this major fire. We cooperated fully with CAL FIRE’s investigation of the fire and we appreciate the thoroughness of its report. Based on our preliminary review, we accept the report’s finding that a tree made contact with a power line, but we do not believe it is clear what caused the tree to fail or that vegetation management practices fell short. Effective vegetation management is critically important to fire safety and we want to reassure all of our customers and their families that we are unequivocally committed to their safety. We monitor approximately 50 million trees a year and we trim or remove more than one million trees annually. Our vegetation management program is among the very best in the industry and was expanded in 2014 in response to California’s historic drought to include special air and foot patrols, funding for lookout towers and cameras for early fire detection and funding for fire fuel reduction and emergency access projects and public education. 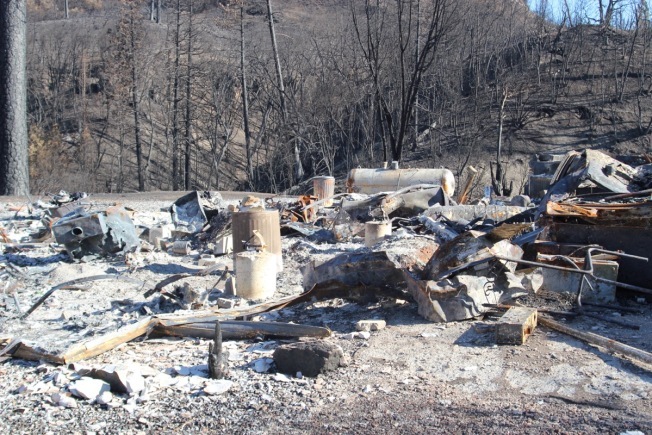 The Sept. 9, 2015 Butte blaze was the seventh most destructive wildfire in California history. The flames scorched 900 structures and took 22 days to knock down. State officials now want PG&E to pay $90 million to help pay the costs of enlisting nearly 5,000 firefighters to battle the blaze. PG&E has said that officials repeatedly checked the tree before and it was “not identified as at risk” before the fire. The pine tree was on private land off Butte mountain road near the town of Jackson in Amador County. The investigation cites the utility giant and two contract tree trimming companies, ACRT Inc. and Trees Inc., for violating the state’s health and safety codes. The report specifically cites a decision made in the year before the fire, to cut two at-risk trees in the area around the tree that later triggered the fire. The prior trimming left the lone tree ‘prone to failure’ from wind gusts. The investigation found the company and its crew missed warning signs in at least two prior inspections, thus violating state codes.